With its roots in ancient Hawaiian culture, outrigger canoe paddling is a sport that challenges, excites, and unites people around the world — including paddling enthusiasts in Philadelphia. 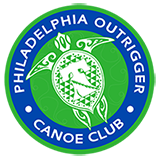 As the Philadelphia Outrigger Canoe Club celebrates its 24th year, we invite you to come out for an open practice at either our Schuylkill River or Brigantine, New Jersey, sites. No experience required. Our friendly group will help you learn the basics of paddling and show you that the aloha spirit is alive and well in the City of Brotherly Love.